Copper Aluminium composite panel is a fully tested and certified, top quality architectural wall cladding panel providing the strength and flexibility riquired for the most demanding design criteria. 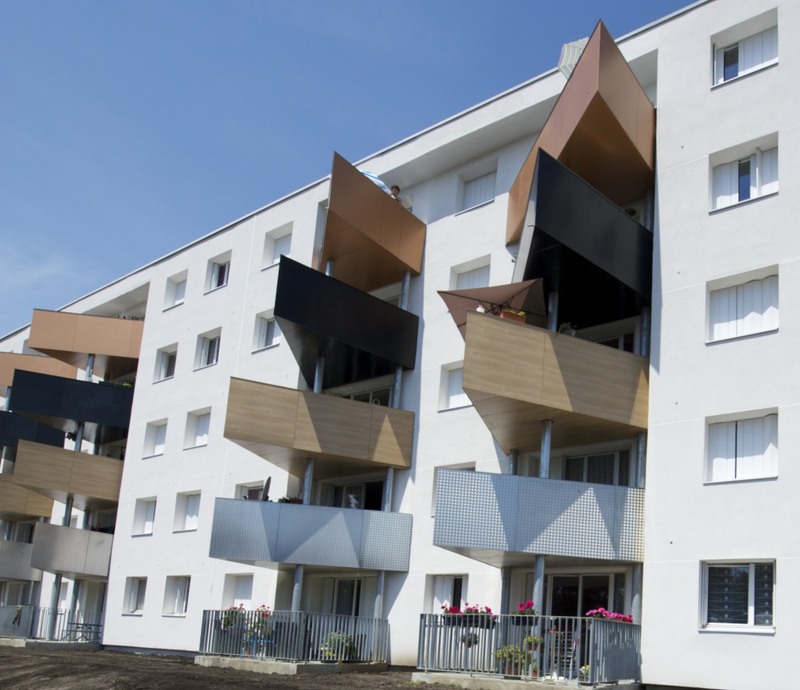 Copper aluminium composite panel is especially recommended for new-construction ventilated façade sectors as well as renovation. It allows for ventilated, semi-ventilated or air-tight façades. 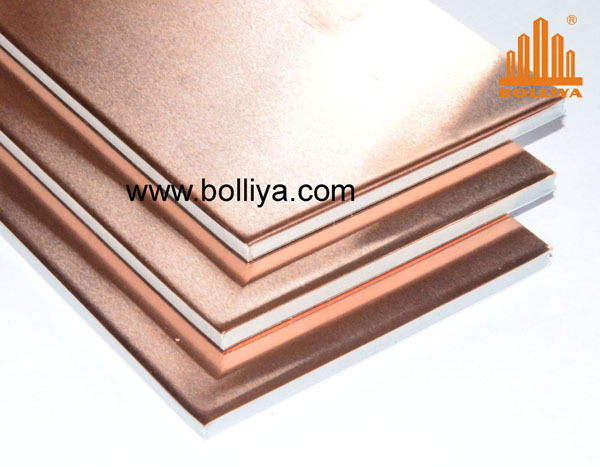 Bolliya´s corrosion resistant copper aluminum composite panels provide the fundamental design flexibility and long term performance demanded by almost any commercial application. This combination of benefits can enhance your most imaginative project, and help maintain its appearance long after completion. 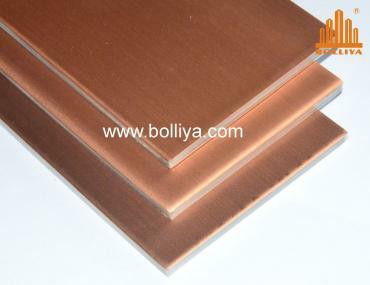 Bolliya copper aluminium composite panel is produced by two metal sheets, front side with copper sheet while back side with aluminum for architectural façade cladding. 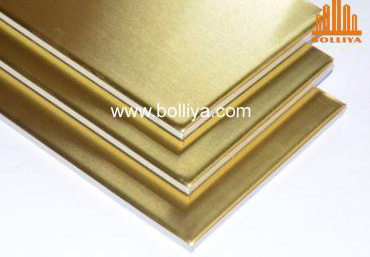 The advanced production process of Bolliya copper aluminium composite panel grants an extraordinary adherence, obtaining double of the recommended parameters. 2. Lightweight. 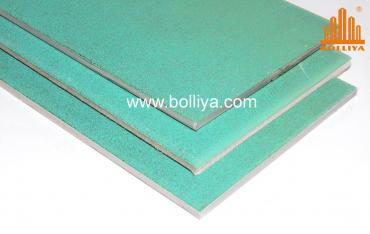 The sandwich core of copper composite panel is a LDPE core which greatly reduce the weight of panel when comparing to solid copper sheet. 3. Excellent workability and formability, copper composite panel performs well between of -30 to +80degrees, and can be processed and fabricated conveniently by same tools used for ACM. 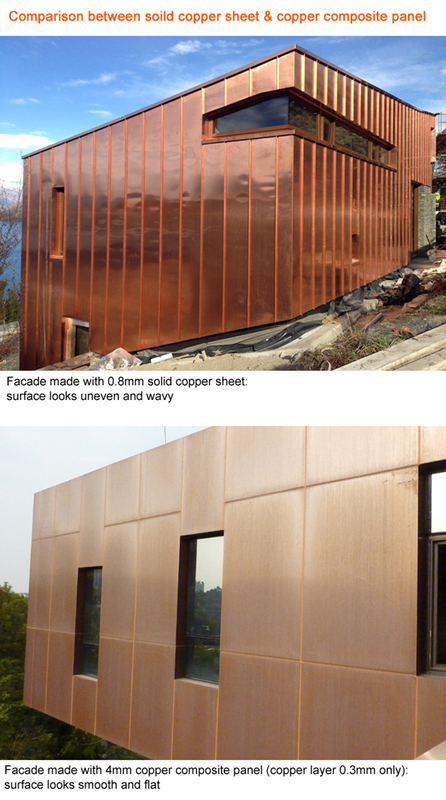 Please have a look at our project references to have direct understanding how stunning effect that our copper composite panel can achieve. 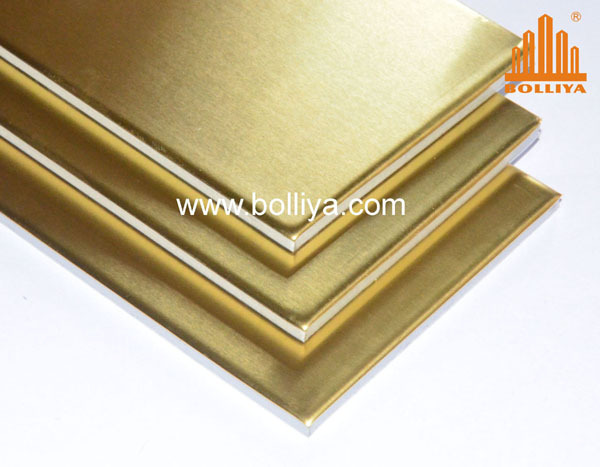 You can also visit our main website www.bolliya.com to more some more about our stainless steel composite panel, copper composite panel, titanium-zinc composite panel and aluminum composite panel. 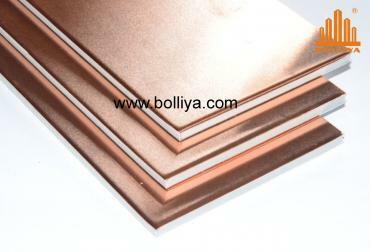 Here is the comparison of using a 4mm Bolliya copper composite Panel against a 0.8mm solid copper sheet. Obviously we can see that our Bolliya copper composite Panel can achieve a much more satisfactory affect on the facade. 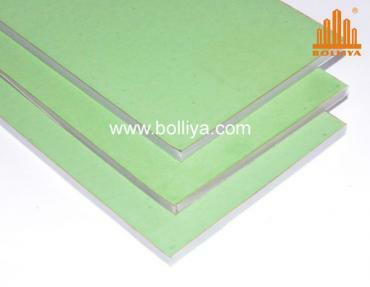 Copyright © Guangdong Bolliya Metal Building Materials Co., Ltd. All Right Reserved. .